Once there was fact, and then there was fiction, and finally along came something called reality TV to marry the two into some new, bastardized product one might just call bizzarotainment. As first defined by the Merriam-Webster dictionary, this was reality TV: "Television programming that features videos of actual occurrences (as a police chase, stunt, or natural disaster) -- often used attributively 'reality TV'." At least that was the definition before reality TV journeyed to Alaska and went into the wild. Clearly the original definition is now outdated. Reality TV is the so-called "Alaskan Bush People" running around in the green light of a night-vision lens trying to confront fictional shooters in the night in the woods in rural Alaska and then supposedly fleeing for their lives. 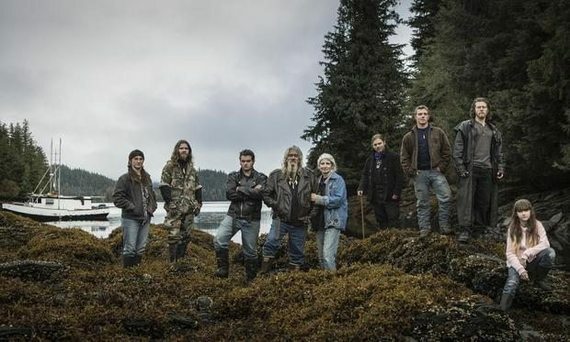 Actual reality -- which is waaay different from TV reality -- is the Bush People getting busted on charges of falsely filing for Alaska Permanent Fund Dividends. And never mind what people can get away with on that phonied up "Alaska State Troopers" show; there are some realities Alaskans take seriously. Lying about living in Alaska in order to collect a PFD is one of those realities.